Purple is supposed to suggest royalty, or a sense of mystery connected with the supernatural, but is relatively rare in nature. It can also symbolize magic, spirituality and creativity, according to colour matters.com. Or, it’s just a pretty colour. 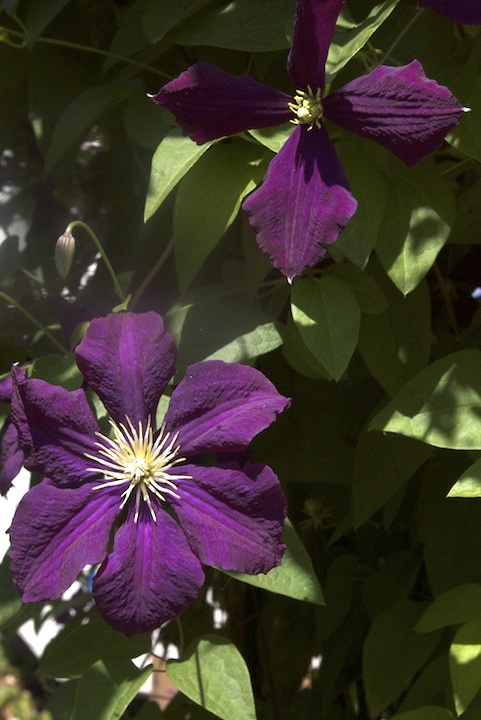 The colour of the flowers is just one way of choosing perennials (or annuals, for that matter) to plant in your yard. When they bloom is another factor, so if you want colour throughout the growing season check the bloom times of each plant for a garden plan. Purple in our Lethbridge garden starts with crocuses in March, followed by tulips and hyacinths, then dwarf Korean lilac through early to mid-summer delphiniums, clematis, speedwell and lilies to October’s purplish fall aster. 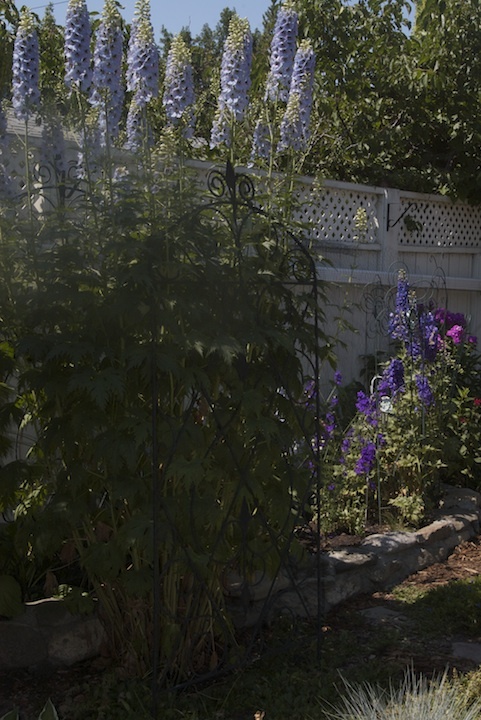 Landscapers will also look at perennial foliage colour to determine a plant’s place in a garden. Some will say if the foliage doesn’t work, the plant may not be worthy, since perennials flower for only a short part of the season. 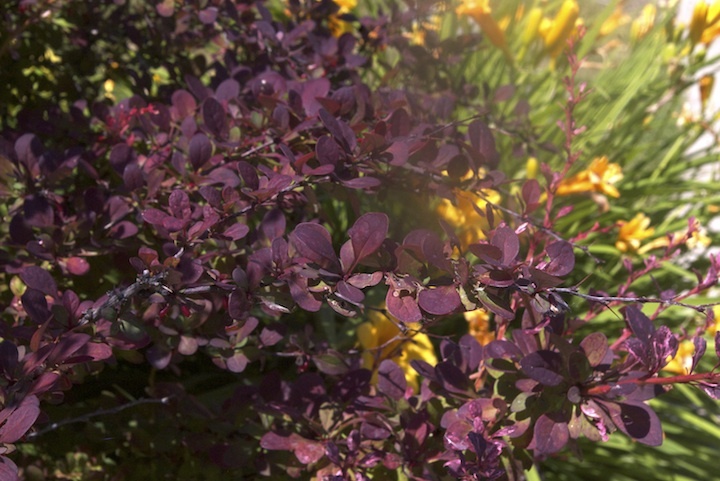 Shrubs such as Purple leaf sand cherry, wiegela and barberry varieties and trees like thunder child crab and purple maple provide interesting purplish tints as contrast to dominant greens. According to colour wheels, yellow complements purple, but I usually leave colour matching up to Marlene. We have red bee balm beside our purple delphiniums and it works for me. Among annuals that will provide purple in your garden throughout thesummer are ageratum, lobelia, heliotrope, larkspur, pansies and petunias. 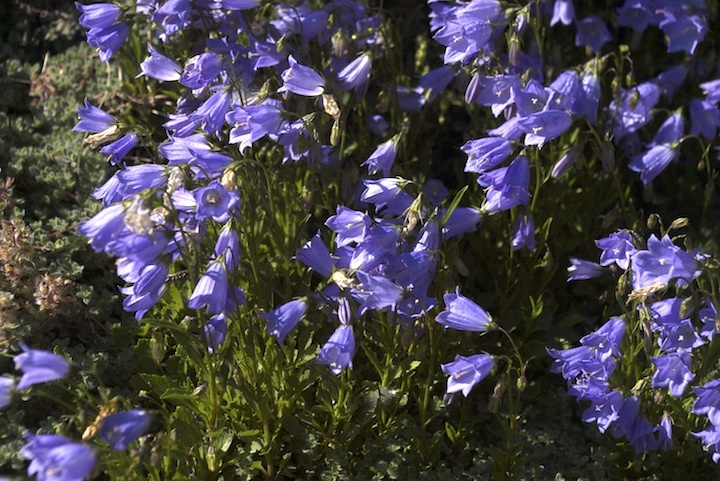 Most flowering plants need deadheading to spur more flowering, in the case of annuals and sometimes perennials such as delphinium and speedwell/salvia, or just to clean them up so the foliage can continue to provide uncluttered interest. 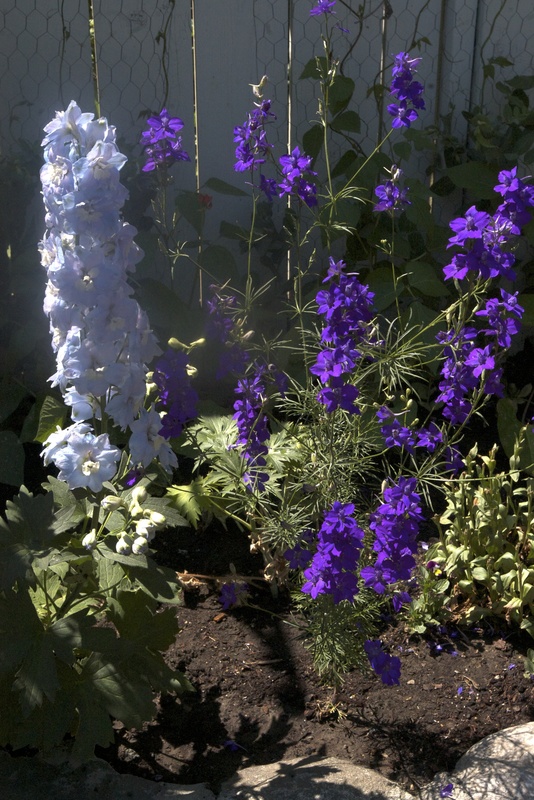 Even though I love purple and white in a garden, I have more blue though for some reason. The crocuses and Lilyturf are the closest I have. Your garden looks very nice.